Lawyers discussed the achievements and shortcomings regarding gender reassignment processes at the International Conference on Gender and Law. Second day (18th October) of International Conference on Gender and Law continued with the session on gender reassignment processes. 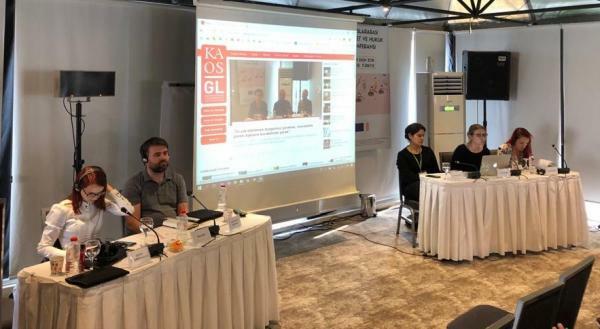 Lawyers around the globe discussed the achievements and shortcomings regarding gender reassignment processes with the moderation of lawyer Hayriye Kara from Kaos GL. The Conference ended with a forum on 19th October. This activity is organised within the scope of Awareness and Advocacy for Human Rights of LGBTIs Project which is supported by the EU. This does not mean that content of the conference reflects the EU's official views.